Flower Fields : JimiArt!, excite your soul with art! 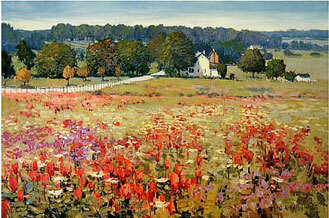 Done in oil, "Flower Fields" looks as though a photograph were taken of the prairie land. This landscape spreads into a beautiful and extravegant field of flowers. Nature always seems to decorate itself with beauty.